It’s the weekend again and I hope you’re enjoying it! In January, I got to read a shocking novel by Italian writer Marina Mander called The First True Lie (Italian title: La Prima Vera Bugia). It will be released in five days, on February 6, 2014. Canongate provided me with an ARC. ‘They always tell you that you shouldn’t tell lies, but without lies I’d already be in an orphanage. Luca and his mum are like two peas in a pod in their special, fragile world. Then, one winter morning his mother doesn’t wake up. Luca suddenly finds himself alone for the first time. Terrified of what telling the truth might bring, he decides to keep the biggest secret of his life. Luca goes along to school every day, pretending everything is as it always has been. But he returns home every night to a cold, dark house. So he begins to build a protective bubble with the memories of his mother, the words and stories he so loves – and his cat Blue – against the truth on the other side of the bedroom door. 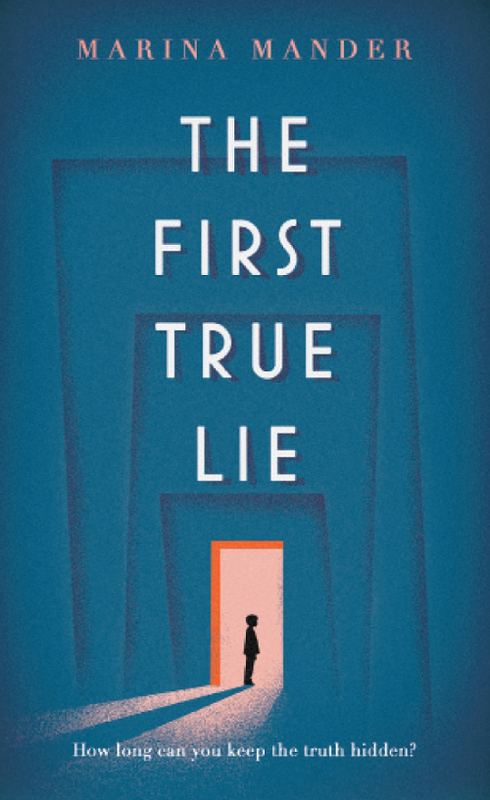 The First True Lie leads us into Luca’s world which, from the start of the novel, mainly consists of the apartment he lives in. Marina Mander created a dull place for Luca’s story to take place. You have the feeling that as days go by, the walls are closing in on the little boy and his cat, the air becomes thicker, the light fades. The author skilfully sets the scene for this horrific plot. Luca is the main character of The First True Lie. The novel is written from the little boy’s perspective and this is where its weakness lies. It’s written in an interior monologue and Luca’s thoughts often sound too grown-up to be a child’s. While the interplay of feelings like fear, stubbornness, strength and resignation is what makes Luca believable and lovable, certain thoughts leave the reader puzzled. The First True Lie is a dramatic novel. It’s like a spiral that goes down. The plot is actually quite simple, but the book as a whole has maximum effect. Even though I had some credibility issues with Luca’s character, this haunting novel works out. The First True Lie left me shocked and thinking.